Imagine Dragons has premiered a new single titled “Natural”. The standalone track, which features a minimalist beat and aggressive vocals from Dan Reynolds, is available now via digital outlets. 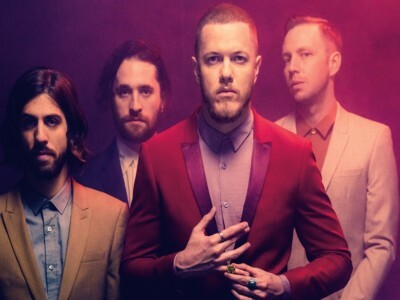 “Natural” is Imagine Dragon’s third single after the release of Evolve, following their collaboration with Kygo on “Born To Be Yours.” It is not known whether “Natural” will be included on Evolve or a future album. Nevertheless, the single’s artwork features the same artist from Evolve, Beeple, heightening the probability of the former.